ATTN Local Artists! 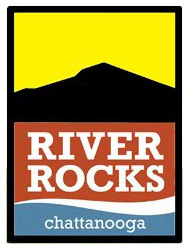 You have an opportunity to show and sell your work at Coolidge Park on Saturday, October 8th from 10am -6pm as part of the River Rocks festivities. My organization, Art 120, will have a large art bike display out there and a live truck painting experience for the kiddos. There will also be food vendors and live music. In an effort to get more art out for this event, there will be fifteen 10x10 spaces available for artists. All booth spaces will housed under one huge tent with an aisle down the middle (150' x 50'). The location will be in Coolidge Park, just east of the sister city tree area. Their is a nominal cost for the space and up to 2 tables and 2 chairs will be available for each booth upon request. You are also welcome to bring your own. to know if you can be a part of this highly visible event right away.